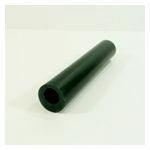 Sold Individually, Ring Tube Waxes are available in three grades of hardness. Green: Hard with very little flexibility. Ideal for machining or filing. Softening temperature 230 F. Purple: Medium Hard with Medium Flexibility. 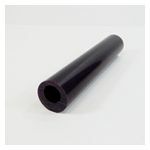 all-purpose wax is ideal for models with extensive piercing, baguettes, or air line openings. 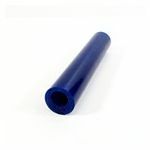 Softening temperature 225 F Blue: Softer and highly flexible. The most popular color is ideal for models with then exposed sections. Softening Temperature 220F Center hole is 5/8"